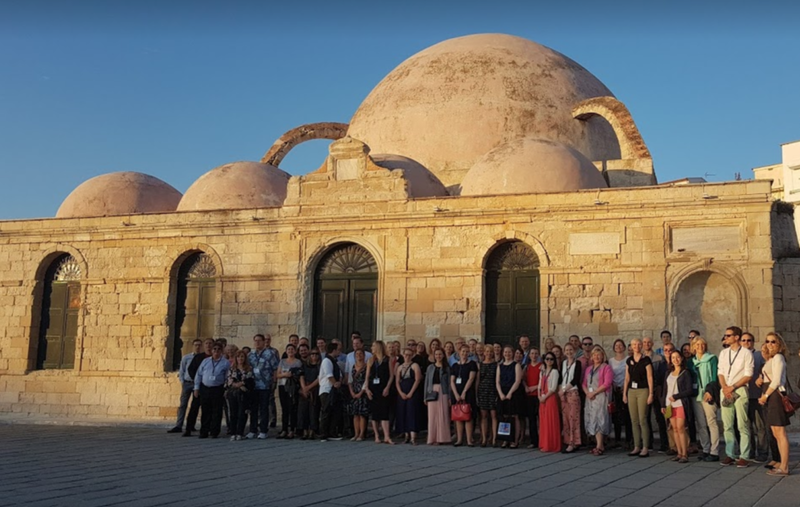 Last week, a small, interdisciplinary group of international leadership scholars gathered for the 3rd IPLS symposium in Crete, Greece. I presented a new paper coauthored with Agnes Baeker on humor in potential leaders (see below). UZH was well-represented with our incoming chair of HRM and Leadership, Jochen Menges. TUM was also well-represented, as Peus chair alumni Susanne Braun, Brooke Gazdag, Tanja Hentschel, and Jennifer Sparr also presented their work (three of us pictured below). We were encouraged and entertained by organizers Niels van Quaekebeke (KLU) and Olga Epitropaki (Durham), and challenged by critical keynotes from Jeff Edwards (UNC) and John Antonakis (Lausanne). Female leaders continue to face bias in the workplace compared to male leaders. When employees are evaluated differently because of who they are rather than how they perform, an ethical dilemma arises for leaders and organizations. Thus, bridging role congruity and social identity leadership theories, we propose that gender biases in leadership evaluations can be overcome by manipulating diversity at the team level. Across two multiple-source, multiple-wave, and randomized field experiments, we test whether team gender composition restores gender equity in leadership evaluations. In Study 1, we find that male leaders are rated as more prototypical in male-dominated groups, an advantage that is eliminated in gender-balanced groups. In Study 2, we replicate and extend this finding by showing that leader gender and team gender composition interact to predict trust in the leader via perceptions of leader prototypicality. The results show causal support for the social identity model of organizational leadership and a boundary condition of role congruity theory. Beyond moral arguments of fairness, our findings also show how, in the case of gender, team diversity can create a more level playing field for leaders. Finally, we outline the implications of our results for leaders, organizations, business ethics, and society. This paper was part of my dissertation, coauthored with fantastic people: Manuela Morf (Erasmus University), Samantha Paustian-Underdahl (Florida State University), and Uschi Backes-Gellner (University of Zurich). We welcomed a great group for our "New Forms of Leadership" conference at TUM School of Management Executive Education on Friday, November 10, in Munich. Main themes included part-time and shared leadership models, leader's flexible accommodations (e.g., flex-place and -time) and family leaves, how digitization facilitates these new leadership and work models, and if such models are especially important for Generation Y (i.e., Millennials) or female employees. Thanks again to our talented organizers, energizing speakers and science slammers, and engaged attendees from practice and research. My science slam presentation of first results from our ForGenderCare Project, "Leaders who care," is here. Counterintuitive consequences of maternal leave? Childless working women report more disrespect (e.g., being interrupted or ignored) from colleagues and supervisors than childless men, especially in organisations that offer more maternal leave than paternal leave. These uncivil experiences at work also predict employees' career withdrawal one year later. A wealth of research has highlighted mothers’ many employment disadvantages compared to childless women and men; however, "actual motherhood is not necessary for young women to experience motherhood penalties” concludes study author Dr. Jamie L. Gloor. Although maternal leave is ostensibly intended to benefit working women (e.g., enhance their economic returns and job security), this might come at the cost of their social mistreatment. Finally, states Dr. Gloor, "targeting female leaders and professors for study or intervention is too late if women have already withdrawn at an earlier career stage." Two waves of quantitative survey data were collected one year apart from 474 early career academics (i.e., PhD and post-doctoral students, assistant professors) from all federal and cantonal universities in Switzerland. "Maybe baby” expectations–highlighted by the organizational inconveniences that pregnancy may entail–may be another explanation for the gender gap in leadership and professorships. Thus, "to retain highly educated women in the workforce, reduce "brain drain" and turnover costs,” recommends Dr. Gloor, “parental leave should also be available to male employees." *This paper was recently honored with the "Emerald Best Paper Based on a Dissertation Award" at the 2017 Academy of Management Conference in Atlanta, Georgia, USA, as well as being included in the 2017 Academy of Management Best Paper Proceedings. Dr. Jamie L. Gloor has just been honored with the Emerald Best Dissertation Award. She will be recognized at the upcoming Academy of Management annual meeting in Atlanta, Georgia (USA) this August. This is the largest international conference in the field of management with 10,000+ scholar and practitioner attendees annually and 18,000+ members. The winning paper based on her dissertation completed at the chair in HRM at the University of Zurich is titled, "An inconvenient truth? Interpersonal and career consequences of 'maybe baby' expectations;" this paper was also recently selected for inclusion in the prestigious Best Paper Proceedings of the Academy of Management. It is coauthored with Xinxin Li (NUS), Prof. Sandy Lim (NUS), and Dr. Anja Feierabend (UZH) and based on a research project funded by the Swiss National Science Foundation and swissuniversities' SUK Program 4 as part of the University of Zurich’s Action Plan Gender Equality (2013-16). "Leaders who care: Better leaders by (not) being there?" 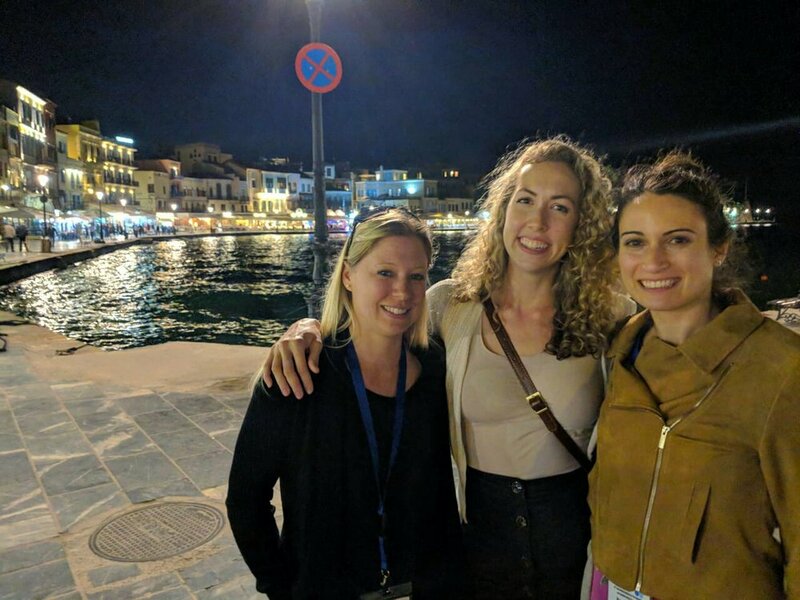 Last week, Jamie presented an empirical paper at the 50th European Association for Social Psychology in Granada, Spain titled, Caring leaders: The impact of parental leave on the perception of transformational leadership. Coauthored with Dr. Lisa Horvath, Professors Susanne Braun and Claudia Peus (abstract/more info here), this paper provides fresh, first results from the ForGenderCare project and was part of a stellar symposium titled, Barriers to achieving gender equality: Shortcomings of placing the burden on women with top gender, diversity, and leadership scholars (more info here). Just a few weeks prior, Jamie also presented the paper at the Executive Education Center of the Technical University of Munich as part of the Munich Leadership Colloquium, where she received encouraging and formative feedback. Esther Choy, President of the Leadership Story Lab, and Karl Schmedders, Professor of Quantitative Business Administration, will show us how to use storytelling to bridge the theory-practice gap in a 2-hour event on Thursday evening in Zurich (for more info, see here). Then on Friday, Esther will coach CareerElixier members and alumni in 2 private, small group sessions on how to apply storytelling and persuasion tactics in the context of our own research. This event is organized by Dr. Hannah Trittin and myself, sponsored by CareerElixier, and generously funded by the Graduate Campus. A new year, a new...uni?! University of Zurich --> Technical University of Munich, that is.